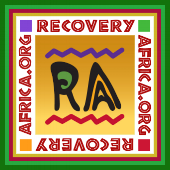 3rd ANNUAL GHANA RECOVERY WALK! John Lives on the Isle of Wight in England. Prior to launching his own company John was engaged as the Registered Manager of a residential psychiatric care home for adults with complex and varying mental health problems. Running alongside the above career, and for the last twelve years, he has been developing models of treatment combining CBT, the 12 Steps and teaching methodology. This has resulted in the creation of the Integrated Step Course, an intensive rehab program that has been implemented in various treatment facilities across the UK. John has been elected as the UK liaison for the Willingway Foundation, a position that has led him to working with Dr Al Mooney on various projects in the UK and Africa. Most recently they spent time in Ghana where John delivered intensive training on CBT and the 12 Steps and the implementation of his teaching methods contained in his program and books. The Integrated Step Course is now an accredited program and John is implementing its delivery in further rehabs in the UK. He now has persons in the USA and Canada and is in the process of developing international connections to take the program worldwide.